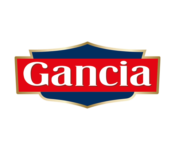 Gancia is an Italian wine-making company. It was founded in 1850 by Carlo Gancia in Turin using Piedmont grape, The company is best known for its Gancia Aperitivo Originale. Carlo Gancia is known as the father of Italian sparkling wine, producing the first sparkling wine made with the Classic Method (or Traditional Method) in Piedmont in 1850 on his return from studying Champagne. After 15 years of trials and small batches, he commercialized it on a large scale in 1865. This innovative wine is still produced today, a premium Asti DOCG, aged for at least 24 months. Due to the complexity of the process Gancia is the only winery producing this exceptional product. The Gancia portfolio features a broad range of sparkling and still wines from the Piedmont region.